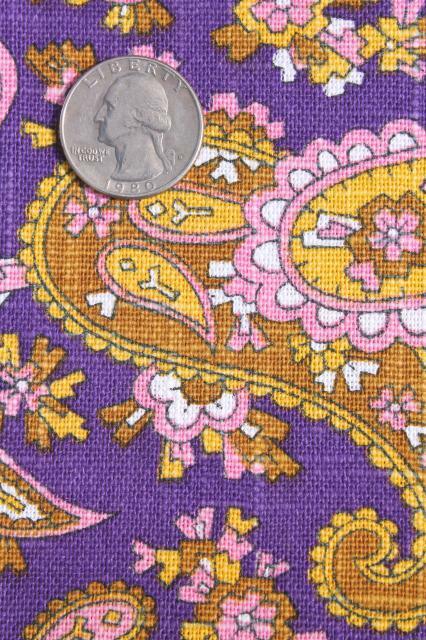 60s or 70s vintage linen weave cotton or cotton blend fabric, medium weight, nice for decor or accessories sewing. 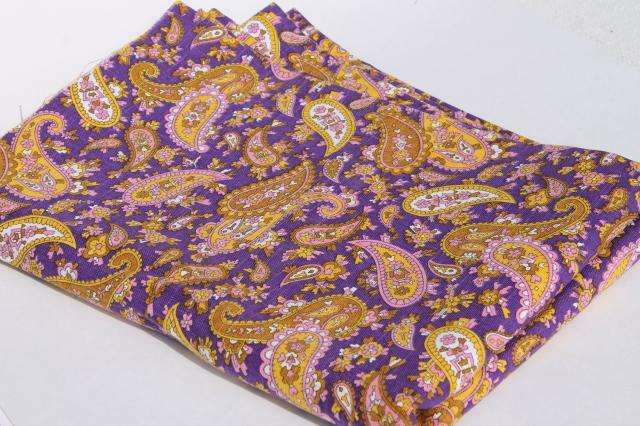 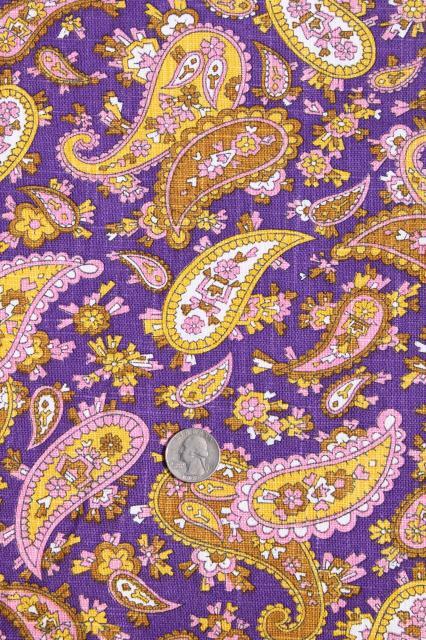 This is 45" wide x 4 yards, in excellent condition. 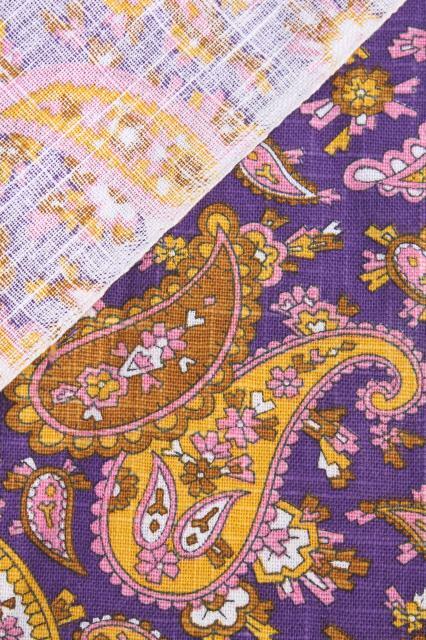 We love the purple, so bohemian!